A basket full of bright blossoms will deliver the warmth of sunshine. This beautiful gift will be appreciated for its life-affirming brilliance and your thoughtfulness at this time. 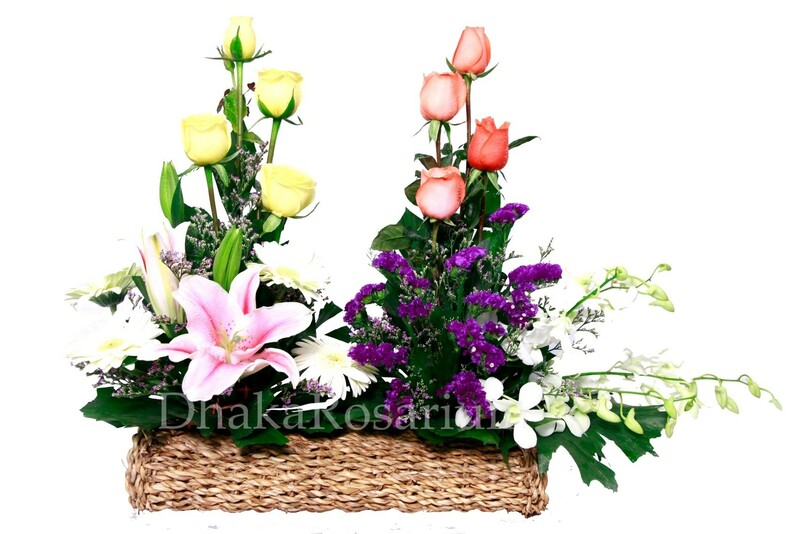 ⦁ Fresh imported yellow and pink roses including limonium(Limu), statis, orchids, gerbera and a lily are assembled in a natural handmade basket decorated beautifully. ⦁ Basket made by banana leaves (Waste Basket). ⦁ Same Day Flower Delivery Available. 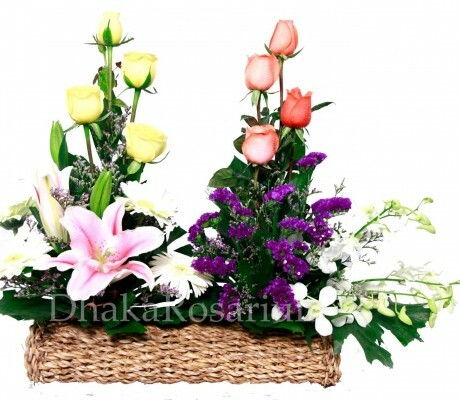 ⦁ This item is hand-arranged and delivered by a Dhaka Rosarium florist. ⦁ All prices in BDT Taka.